To submit an offer, fill out the form below. Once we receive and review your offer we will e-mail you a confirmation receipt that your offer has been received and will present to the seller immediately. Please be aware that the DVC market is very active and we are duty bound to present all offers until the seller has accepted an offer or until a full price offer has come in. current year dues (typically, buyers pay current year dues when receiving current year points). Need help with your offer? Call us with questions: 866-544-2919 or click through to review our recent DVC ROFR Data and tips for presenting a successful offer. If you purchase a different Use Year, regardless of resort, you will be issued a new membership number for the ownership with different banking windows. All contracts will be under your existing log-in with DVCmember.com as long as you are titling and deeding the same. If you are financing your purchase, there may be additional closing costs and fees charged by the lender. Closing costs are an estimate only. The closing costs on most DVC resales will vary depending on the dollar amount of purchase. These costs will include title search, title insurance, administrative fees and recording fees (deed and any other pertinent documents). The closing costs are paid to the title company or attorney at closing. If you are financing your purchase, additional fees charged by the lender will range from $400-$450. 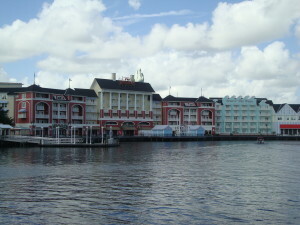 As of March 21, 2011, you will not be able to use the Vacation Points associated with this Ownership Interest to make reservations for the Concierge or Disney Collection options such as the Disney Cruise Line, Adventures by Disney, or select Disney resorts. Instead, your Vacation Points can be used for reservations at the 14 Disney Vacation Club resorts and for exchanges with RCI (also known as the World Collection). Further, as of April 4, 2016, you will not have access to other Disney Vacation Club Incidental Benefits (also known as Membership Extras) such as Member discounts on dining, shopping, annual passes, Member exclusive events, and certain special Member offers. To be eligible for Membership Extras, Members must own and maintain a minimum of 75 Vacation Points purchased directly from Disney Vacation Development, Inc. Please refer to DVC’s Member Benefits Guide for further details. Effective January 19, 2019, only Members who purchase directly from Disney will be able to use their Vacation Points at future Disney Vacation Club Resorts—such as Disney’s Riviera Resort or Reflections – A Disney Lakeside Lodge. Resale contracts purchased for the existing 14 Disney Vacation Club Resorts will only be able to exchange Points into those 14 Resorts. When an offer is accepted, we prepare the contracts and email them to you. At this time, you will need to sign and return the contracts to us and also send your deposit to the title company. Once signed contracts are received and a deposit is on record with the closing company, we then forward all contracts to Disney to start the ROFR process. It takes Disney approx. 30 days to approve a sale. When Disney approves your contract, it then takes approx. 4 weeks for the title company to get the transaction to closing. At closing, the remainder due will need to be a certified bank check or bank wire transfer to the title company (international buyers). Once the sale has closed, it takes Disney approx. 14 days to set up your new membership. Its a very easy process for buyers and we keep you updated every step of the way! For your protection, all closings are handled by licensed, bonded, and insured title companies and/or real estate attorneys well-versed in DVC closings.